The smartest way to dewire a bale is to CW Dewire it. The CW Dewiring machine cuts and removes steel wires and plastic straps automatically, safely removing them with high reliability. The CW Dewiring machine coils the removed wires automatically into small, tight bundles for easy recycling. The CW Dewiring machine can also be equipped with in-feed and out-feed conveyors, and it can dewire various bale sizes, materials, and ties. The CW Dewiring machine is based on Cross Wrap’s unique, industry-proven bale dewiring method. The Cross Wrap method provides unique advantages for a variety of industries, including paper and plastic recyclers. The CW Dewiring machine is built to provide long-lasting reliability, as well as low operating and maintenance costs. The CW Dewiring machine automatically cuts and removes steel wires from recycled paper or plastic material bales. Cross Wrap’s patented bale-dewiring method improves workplace safety, preventing unnecessary accidents and minimizing the need for manual operation, thus saving labour costs. Cross Wrap guarantees the steady flow of high-quality recycled materials for processing, without steel wire fragments. Cross Wrap safely coils and helps to store and handle removed bale wires. This efficient wire removal operation minimizes unwanted production line machinery wear and maintenance downtime. It also lessens the need for manual and/or magnetic metal removal in plastic recycling processes. The CW Dewiring machine offers the industry’s lowest machine operating cost. 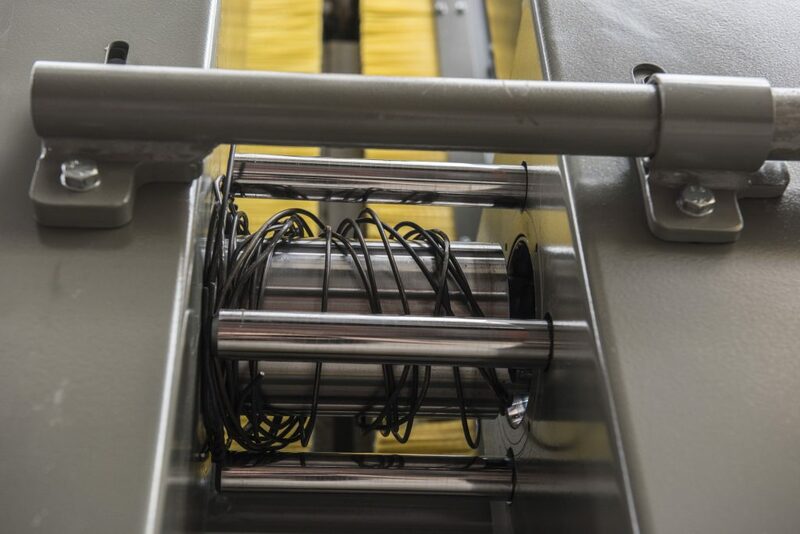 Cross Wrap minimizes litter when bales are dewired thanks to controlled in-feed and out-feed conveyors. 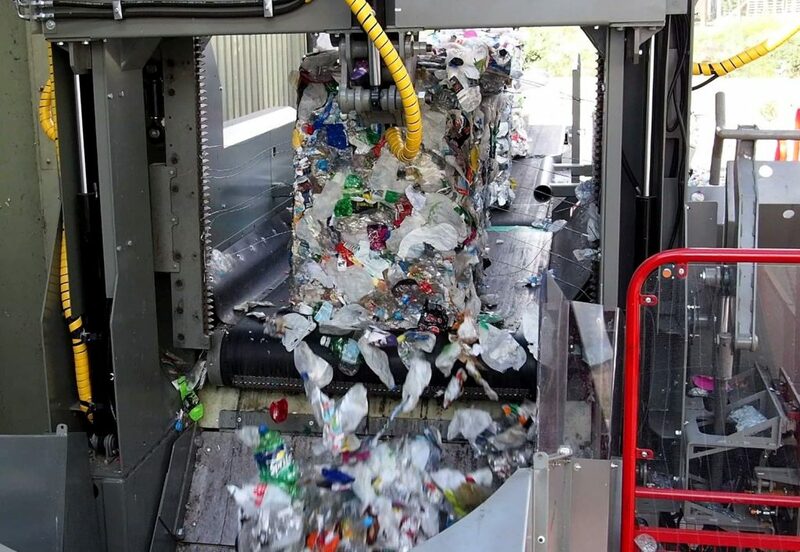 For plastic, paper and other materials recycling, Cross Wrap machines offer safe and effective dewiring, improving safety, boosting production, and enhancing overall efficiency while reducing labour costs. Cross Wrap also helps industries reduce landfill use, and promotes smarter materials reuse.